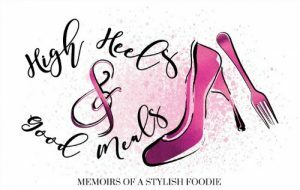 Hi Dolls, So listen…there are so many reasons I can give as to why I really, really love The Bleu Chocolate Cafe! This hidden gem recently opened right in the heart of the Historic Springfield area and it is a perfect fit! If you didn’t know any better, you’d think the cafe has been there forever! It’s a welcoming cafe from the moment you step foot inside. Actually even before that with the amazing inspirational quotes outside the door! My experience there was 100% pleasant from the friendly staff to best of all, the amazing food! So…I did say there are so MANY reasons why I love this new cafe so let me start with the decor! 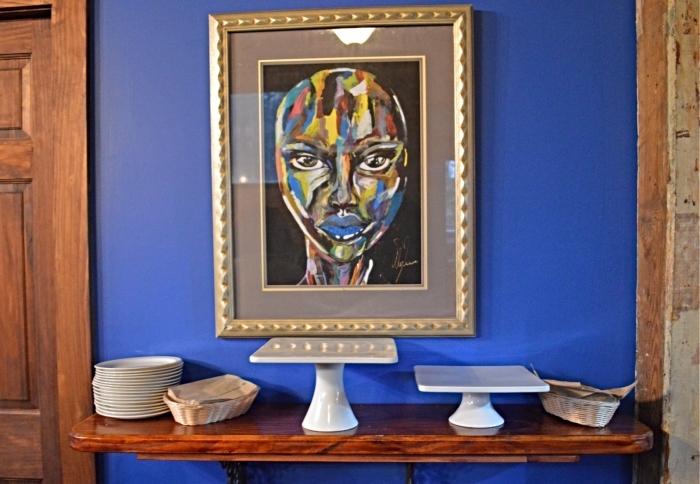 I was instantly drawn in by the beautiful art work on the gorgeous blue walls! After a little inquiry, I found out that most of the pieces were created by a local artist which I absolutely love! The bold blue walls are very complimentary of the space and the decorative accents and open kitchen nook give the cafe a homey vibe! It is very spacious inside, there’s a patio outside, and a bar area as well. I can easily see The Bleu Chocolat Cafe being an ideal space for events and intimate gatherings. I had the pleasure of meeting the incredibly talented “Sister Chefs” of The Bleu Chocolat Cafe and they were all as delightful as the food they prepared for me. 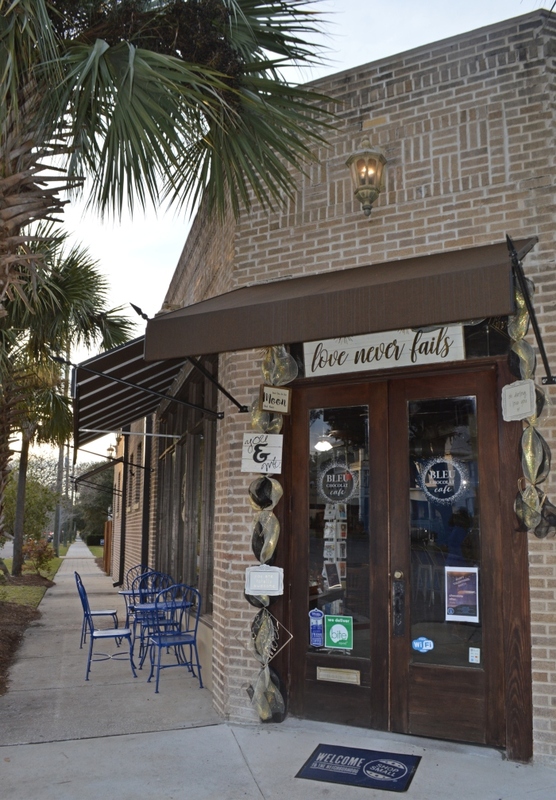 There’s an interesting story behind how this cafe ended up in Jacksonville. In short, pastry chef Erika Cline, who you may recognize from Top Chef’s “Just Desserts”, was living and running her restaurant on the gorgeous Tortola Island in the Caribbean and after Hurricane Irma came through, it wiped out everything from her home to her restaurant. 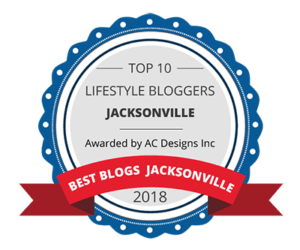 After a little time to recover she moved back to Jacksonville where she previously worked, and with her team of sister chefs, recreated The Bleu Chocolat Cafe! 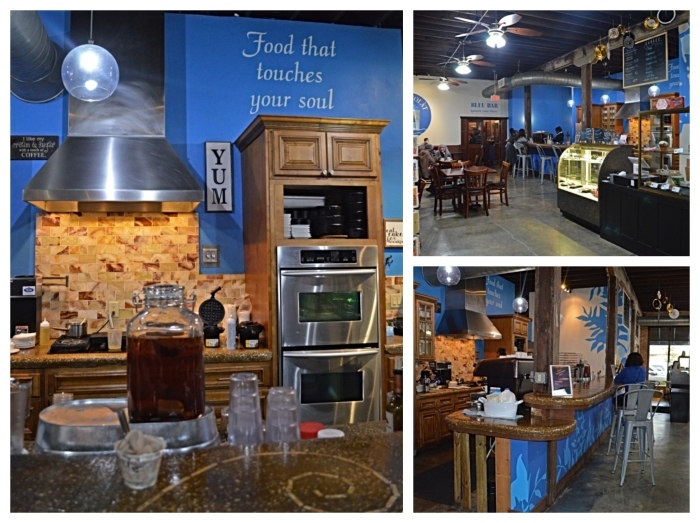 The residents of the Jacksonville area are definitely blessed with the opening of The Bleu Chocolat Cafe! We now get to enjoy all of the things we love so much about a cafe but with a Southern & Caribbean touch. 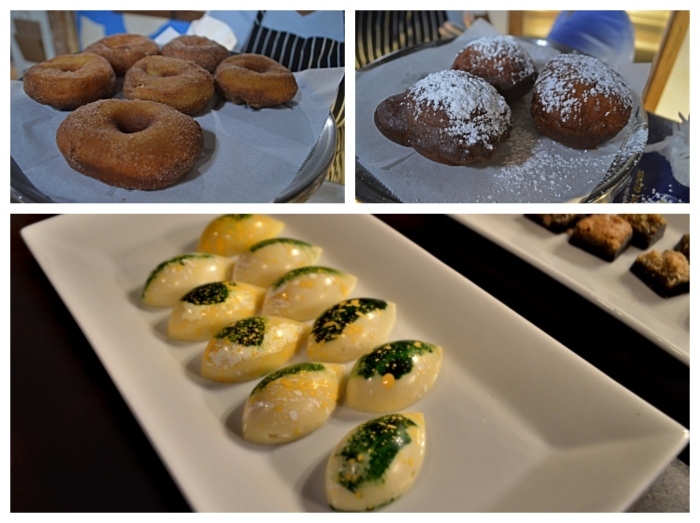 As soon as you walk into The Bleu Chocolat Cafe, you can expect to find a couple of pastry cases filled with the freshest of pastries, some of the most decadent cakes and brownies, brioche donuts, cookies the size of your head, and house made chocolates and truffles. And that’s not even the half! Did I mention Chef Erika is a chocolatier!?! I really hope she starts doing tours of their chocolate factory! Can you imagine how delicious that must smell?!? 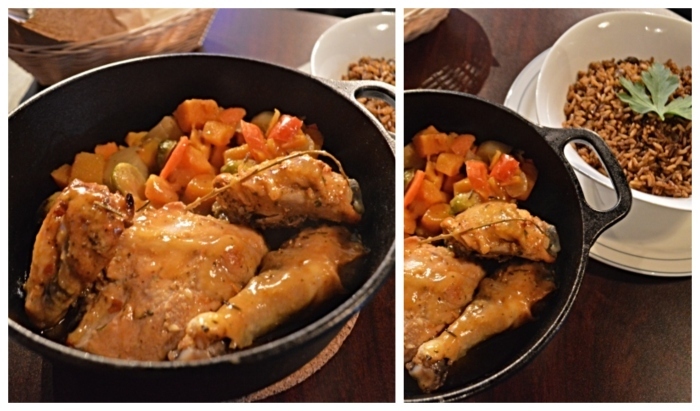 This dish reminded me of home and the name is pretty straight forward, “Chicken in a Pot”! It’s made with a white wine cream sauce, rooted vegetables, and peas and rice. 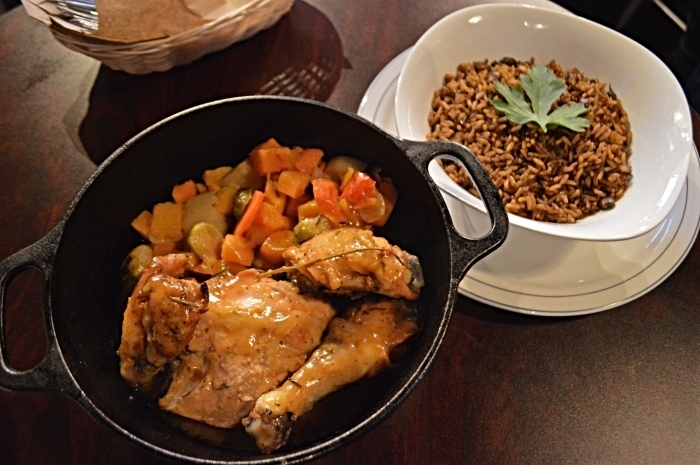 It reminded me of a chicken stew dish my grandmother use to make when I was a child. Delicious and seasoned to perfection! I will definitely try this again. 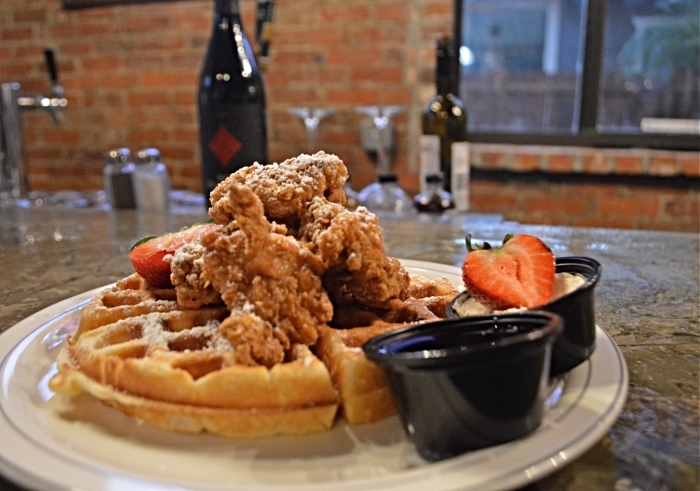 Of course, I had to talk about the chicken and waffles! 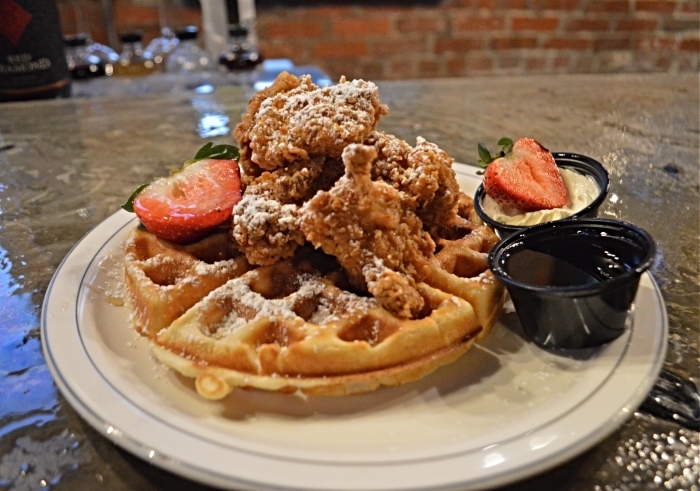 It’s made with buttermilk fried chicken on top of a fluffy waffle and with the butter and syrup, they are everything you want in this iconic brunch dish! Speaking of brunch, they have it every Saturday and Sunday! I definitely see a lot more brunch in my future! 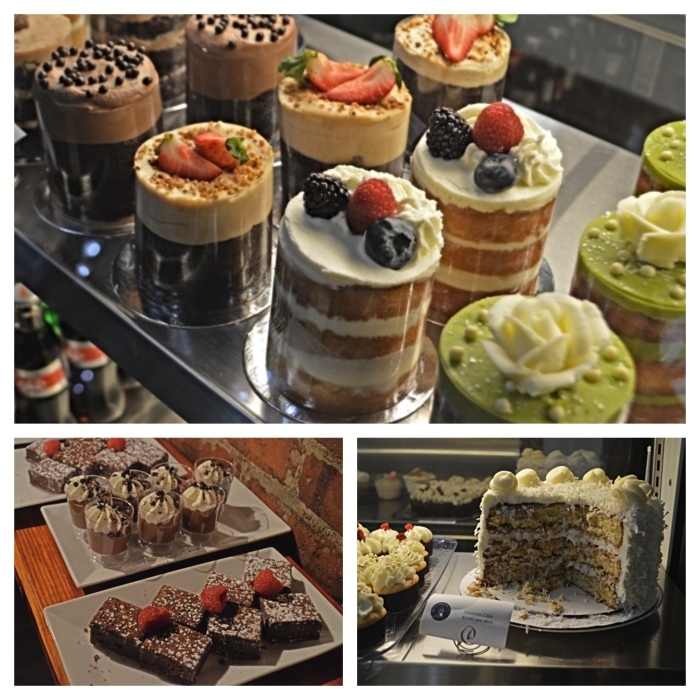 I could go on and on about why I think The Bleu Chocolat Cafe is great but you really just need to get out there to check it out for yourself! I can say with an abundance of certainty, that you’ll enjoy whatever you order. I have heard nothing but amazing things from other people who have visited and I enjoyed every single one of the dishes I sampled. 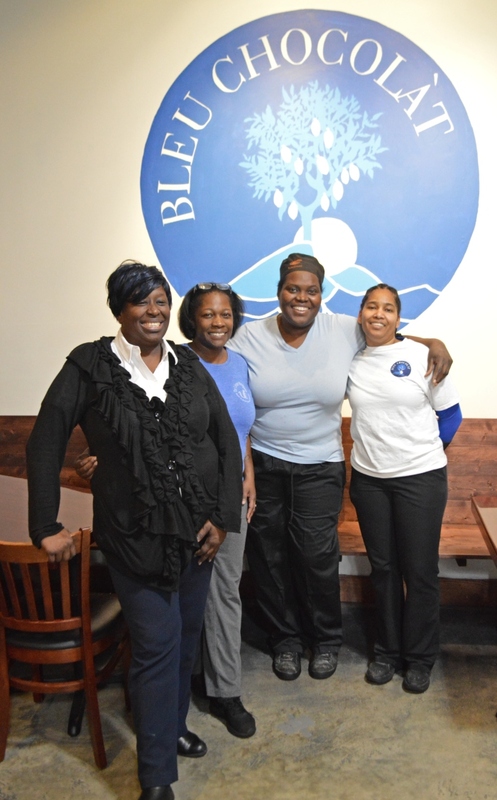 It’s obvious this sister chef team at The Bleu Chocolat love what they’re doing because it shows in the foods they serve. I’m thrilled that we get to enjoy this cafe here in Jacksonville. Next week they will be doing a Valentines Day dessert and wine tasting so for all of you love birds looking for a something a little different to get into, head to The Bleu Chocolat Cafe and enjoy a sweet evening with your sweetie! As always thanks so much for stopping by! Have a fabulous remainder of the week!